Clearly iStamp: Challenge #2 - Balloons! Oh the fun has started (at least for the early risers!!) Winners for Challenge #1 will be posted tomorrow afternoon. 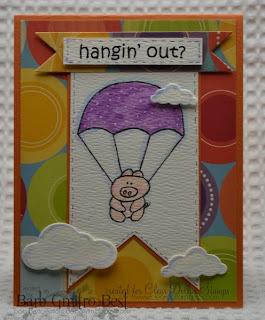 Here is my card I just finished for Challenge 1: Must use a CDS stamp! If you want more information on it come to my blog! Must have one or many on your project. You may use any digis or stamps from any company on your challenge entries. Or no stamps at all but must have the item the challenge is requiring. YOU MAY ONLY ENTER EACH CHALLENGE ONCE. The challenge will run from 9 am - 2 pm! I like Hot Air Balloons. Enjoy seeing & photographing the Hot Air Balloons at the Plano Balloon Festival held annually in Sept. 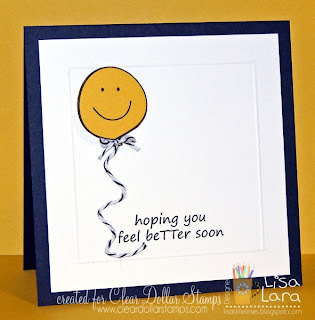 So, I used a new stamp & die set from taylored expressions to make my card. Well I see that you weren't going to let Gail bet you this time!! Great job and thanks for playing with me! Here's a balloon for you Kathy! 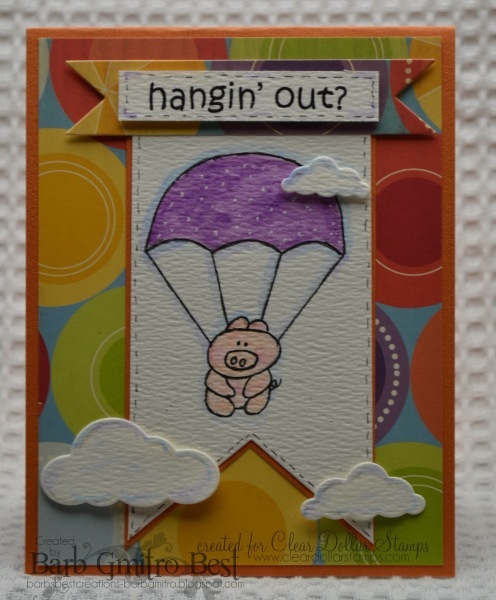 Debi - is that because you noticed the pig is holding onto a parachute and not a balloon!! I got so excited when I saw it that it didn't register until it posted that it wasn't a balloon! But I'm glad you ladies can follow directions!! They all look AWESOME. Done with 37.5 minutes to spare LOL! Thanks for the challenge! Hi Everyone! I had a lot of fun playing along on challenge #1 and #2, but unfortunately I have a family obligation this evening and I think this is where I'll have to stop with CiS's challenges. Or maybe I can squeeze one more in later, I can see it now, I'll be fixing my hair with one hand and coloring with the other. Patiently waiting for challenge #3 to be posted. I have the scalloped die cut Gail has and have forgotten to use it and will have to remember to put it to use now. The challenge now as of 2:10pm CT indicates there is 29 more mins left to enter. Thought it was to end at 2pm. What's up with that? Yes, I'm trying to be patient and hear that challenge #3 has been posted. off to fix it now! Sorry.